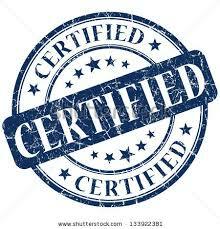 Pay Stub Direct is officially Certified. We've been working on this site for a few years now, and we finally saved up some money to get an external audit and received our SSL certificates. Which means that we were verified as legit. We provide what we say, and we have a 3rd party confirming that. This is a big step for our site. As you know, we have been a grassroots effort of accountants and lawyers that wanted to create this site, and help the common person create pay stubs for their business or private income. Without buying expensive software, or complicated setup process. Our goal was for you to be able to create your site, efficiently, and correctly, and quickly. So as to make life easier for all of us. We hope you like our service as much as we think you will. Our motto is to make sure you come back, based on quality and comfort. So, this milestone, of getting our Pay Stub Direct Certified is huge for us.